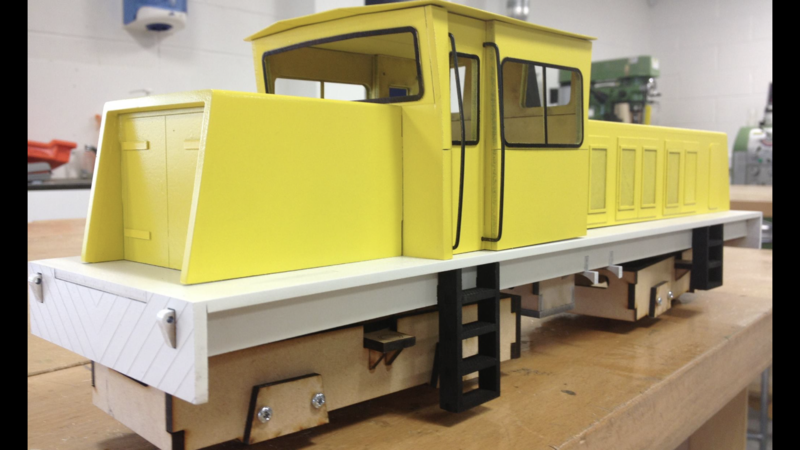 A while back I built a very simple model of one of these most interesting locomotives. 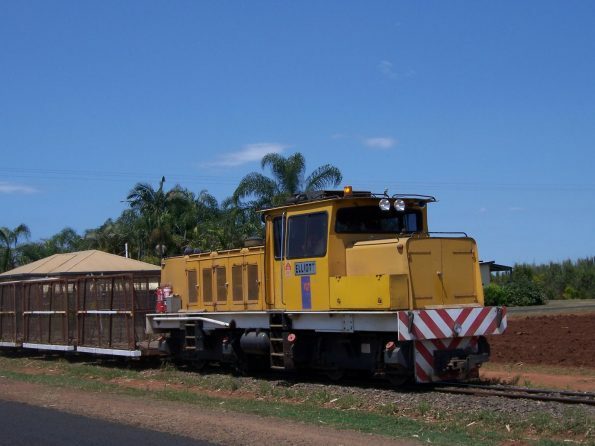 The prototypes for the model serve on the sugar cane railways of Queensland, Australia. 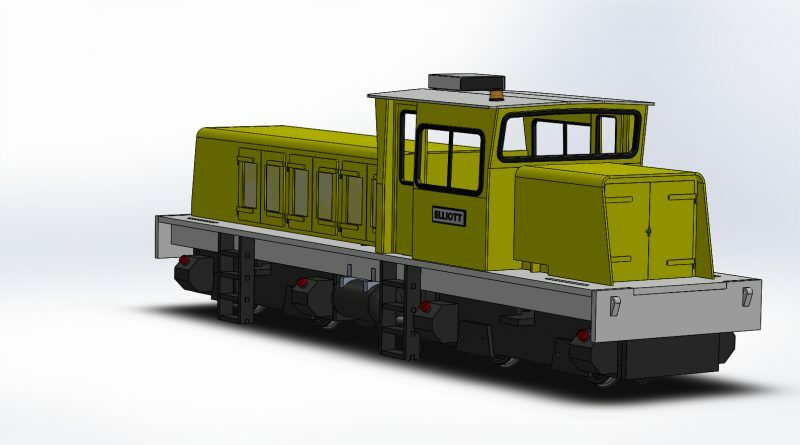 I sourced this image of one of the locos from the website of rail blogger John Raby. At the time of posting,I haven’t asked permission to use John’s image, as I couldn’t find his email address, I hope he wont mind. Please take a look at his site here, it’s very interesting. Here’s the simple model I made. Sorry for the poor quality image, I’ll try to update with a higher quality image soon. 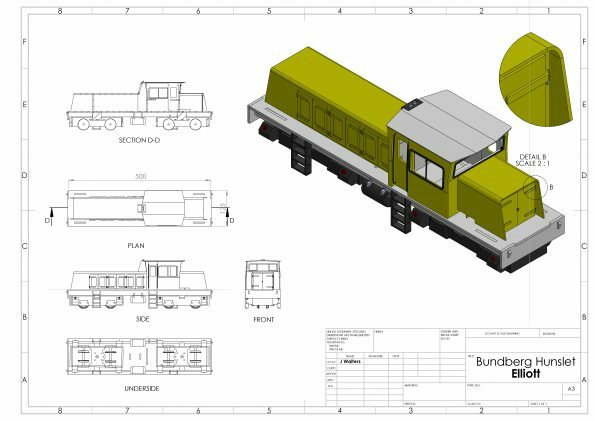 My plan was to draw it up, with a view to building a 7 1/4″ gauge version as an interesting project. As ever, time has got in the way of that particular project for now, however my interest hasn’t dried-up. Looking at my simple project the other day, I thought the work which had gone into drawing it might be useful to others. I have therefore revisited the drawings with a view to producing a laser-cut kit of parts which might save a lot of time and bother for anyone interested. 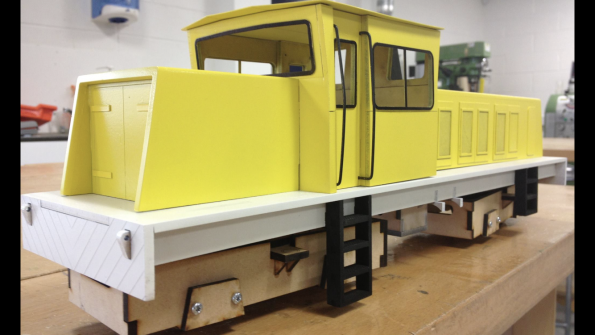 I originally built my model from MDF, it being convenient at the time for what was essentially a proof-of-concept model. Looking at it again, the thickness of the material around the windows and especially the front bonnet/cowl seems quite crude. 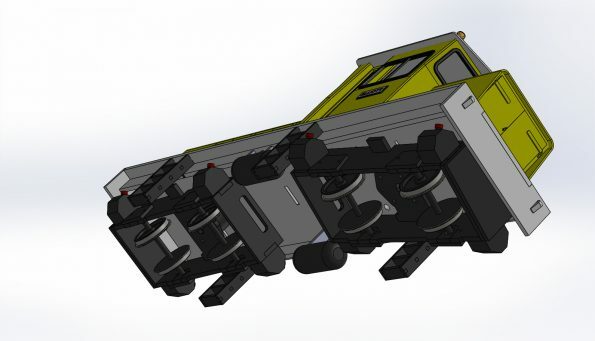 With this in mind, I have re-drawn the superstructure with a view to manufacturing the parts from etched brass. I’m posting drawings of my work so far here, to gauge interest from others in the project. I’ve had the prototype up and running, with ball bearing on the axle ends and bogie pivots it runs smoothly. 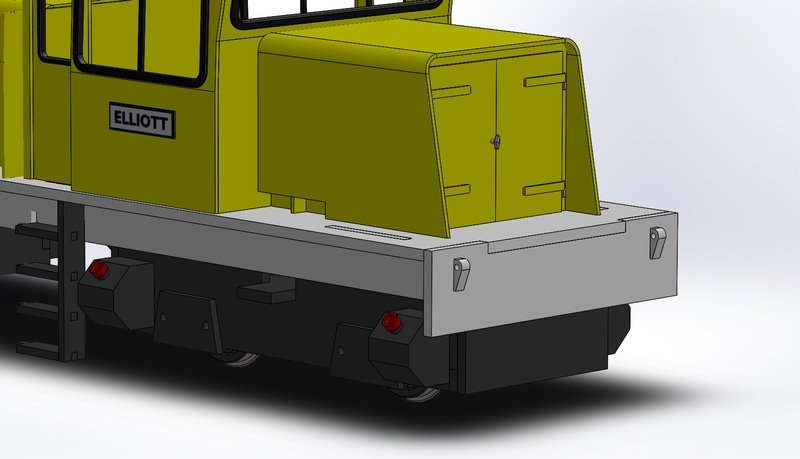 Currently the bogie centres incorporate mounting holes for commercially available motors and gearboxes, although I’m looking into a centre drive system, transferring power to the bogies via prop shafts as per the original. In theory it works well, although the additional friction in a relatively lightweight model does seem to impair smoothness when negotiating curves, so for now this is a work-in-progress. I shall keep developing the model concept, with a view to sharing my outcomes when it’s completed. Meanwhile, should you have any interest in the project, please leave a comment below, hopefully I’ll be able to answer your questions.